It is time for you to fulfill your dreams of Studying Abroad. The feeling of curiosity mixed with excitement of exploring a new country, new environment and new people is overwhelming. But a major factor which you need to consider for international education is – MONEY ! We are talking about spending a currency having value higher than Indian Rupee. In order to make the most out of your experience, ensuring you have the financial means by applying for Loans for Study Abroad to support yourself during your studies is quite important. Here is a Summary of Things to consider while applying for Educational Loan. You must not wait until the last moment to apply for Education Loan, especially with something as important as financing your upcoming international trip on the line. For some student loans, such as federal loans, only a certain amount is given out, so you need to plan your finances accordingly and you might need time for that. Many lenders recommend beginning your Study Abroad Loan Application as early as six months in advance. There are three main types of Study Abroad Loans : General Student Loans, Federal / Government Loans, and Private Loans. Each of these have different requirements for Application and diverse processes in place for when you need to apply. Federal / Government Loans are usually issued to those with high financial aid needs. Private Student Loans for Study Abroad are given out through a Financial Institute / Company, such as a bank. Just ensure that the company lending the loan is credible and trustworthy. General Student Loans vary from university to university. These loans usually don’t have many requirements in order to apply and are open to almost every student. Basically, Student Loans vary from institution to institution, so it will be your job to figure out what and when you need. Be sure you research the type of Study Abroad Loan you need before registering for one. Regarding any queries, you can always contact your University’s Financial Aid Office. Study Abroad Loans require that you go to an Approved / Eligible College or University in any country. Without eligibility of your Institution, there is no point of applying for a Loan. You can check to see if your University is eligible from online resources. A cosigner is someone who can legally sign loan papers for you so you can obtain the loan. They must have a good credit rating / score in respective country. Having a creditworthy cosigner can not only make it easier for you to get a loan, but it can also reduce your interest rate. You can choose any family members or friends as your Co-Signer and Co-Signer will increase your chances of getting a Loan for Study Abroad. 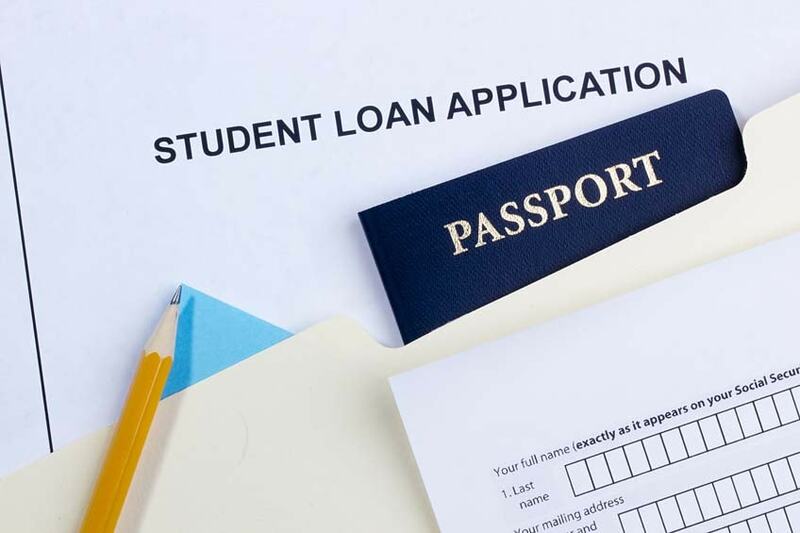 Student Loans for Study Abroad are typically disbursed a few days before your program starts, but it ultimately depends on the schedule you’ve agreed upon with the lender. Be sure to double check your Loan Application to ensure that you chose the correct disbursement period to avoid any financial trouble during your studies in any foreign country. You have got the money you need for your plan to Study Abroad. But don’t forget, you need to repay the Loan. In addition to the preparation process prior to applying for Study Abroad Loans, you should also mentally plan for repayment structure after you receive the Loan. You will be responsible for paying back the amount you borrowed plus an additional interest at agreed percentage. Make sure that you are aware of your terms and conditions and prepare ahead so that you can repay your Study Abroad Loan on time. Preparing for Study Abroad is not easy task, especially when it comes to big money. Face the financial hurdles head on with a combination of preparedness, exhaustion of resources, and a genuine personal investment in your experience, all of this extra work will feel more than worth it, and your Student Loans for Study Abroad will enhance your overall experience rather than detract from it. Apart from applying for Student Loans, you can also apply for Scholarships and Fundraising. All three of these Financial Realms ( Loans, Scholarships, and Fundraising ) will help you tremendously while Studying Abroad.